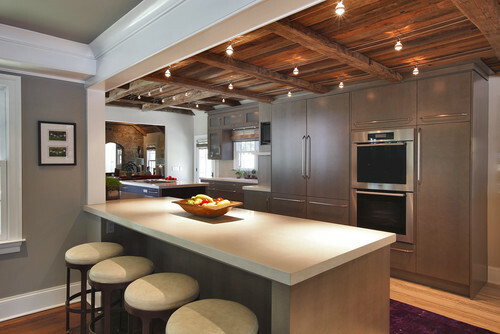 Every once in a while, a client asks JASON BALL interiors to design a kitchen with some real drama. This is nothing against most of the other kitchens I've done, but some people just really want to push the design envelope to the limit. I'm working on one such kitchen. We, the clients and myself, set out to design a kitchen all the right details, backsplash, cabinet hardware, counter top and especially the cabinetry. Our design choice was to use cabinetry in a deep black paint color with a higher level of glossiness than usual. 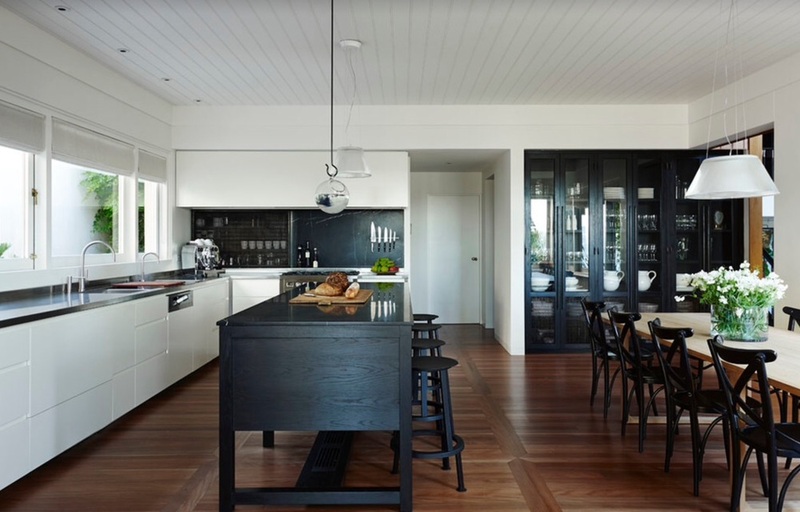 Different than most kitchens, this particular kitchen can handle the idea of dark cabinetry because of the quality and quantity of light available. Large windows in the adjacent breakfast nook (with an amazing view, by the way) and an abundance of overhead lighting makes it easier to ensure a light-filled space despite the cabinetry tone. 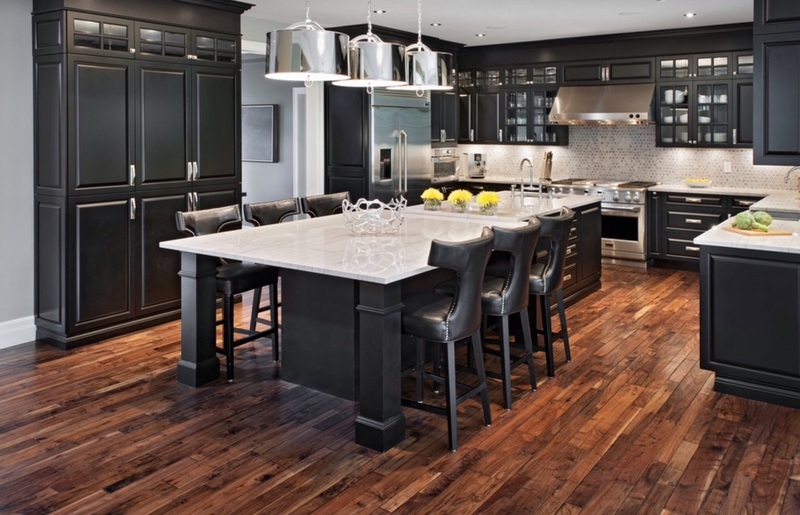 But, how can you incorporate dark cabinetry in a setting without all of these particular advantages. 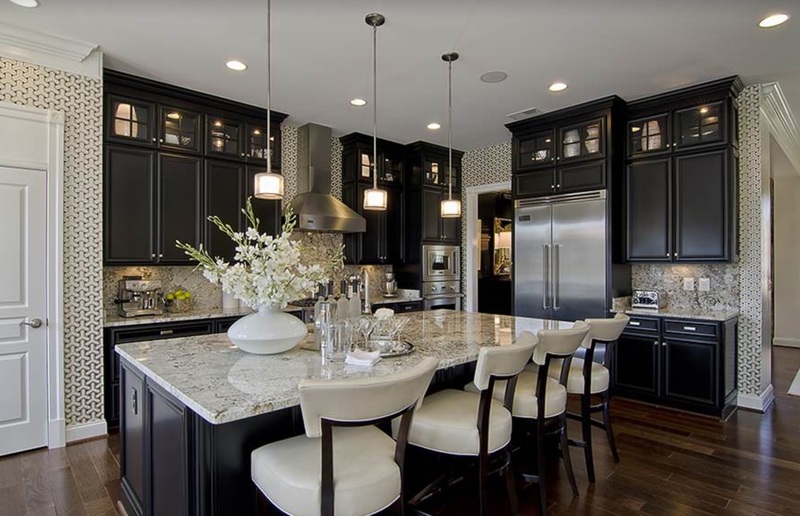 If the idea of black cabinetry is something that interests you, then this article will guide you through the selection process of how best to use black cabinetry in your kitchen. Start Small. One of the easiest ways to get a darker tone in your kitchen it to only use it in one or two selective locations. An island or bar area are perfect locations for beautiful black cabinetry and a great way to introduce black into your space. Reflective surfaces are your friend. If you're daring enough to go all out and put in a full set of black cabinetry, use metal finishes, glass and other reflective surfaces to help "lighten" the space. These shiny surfaces are important ways to push the light around the space and provide little glints of light against the dark cabinetry. Chrome pendants and cabinet hardware are the jewelry in this kitchen - Design by Laurysen Kitchens Ltd.
Go all out for pure drama. If you're really bold, why not pull out all the stops? This amazing kitchen has everything going for it - an amazing ceiling, gorgeous cabinetry and a floor that builds on the overall look. One design element to make note of. The farm table plays an incredibly important role in the space. It adds warmth and age to space, a great add. Here are a couple of instances in which I've used black cabinetry. In one kitchen, we did black on all the cabinetry. In the other one, just the island and built-in buffet area got special treatment. I can't wait to show you the kitchen JBi has recently been working on. I'm pretty sure it's going to be really show stopper. And, one last word, don't let black cabinetry get in the way of creating your dream kitchen. Go bold or go home, right?! We often focus so much of our design attention to the walls in a room, but forget about the single large, uninterrupted surface in any room - the ceiling. I fall prey to this same forgetfulness all the time. But, what if we started really thinking about the ceiling as a design opportunity? What are some of the options available to us? Beams for that rustic, European feel. In looking for an example of beams, I found this one and fell in love with the strong juxtaposition of the ceiling treatment and the contemporary cabinetry. It's simple and elegant, just the way I like it. Bead-board adds country charm. 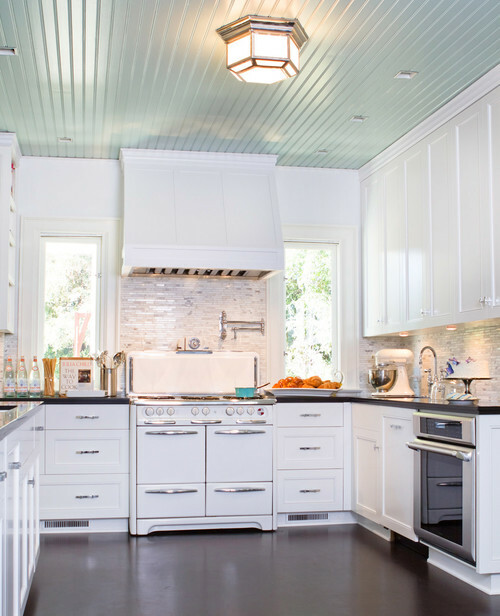 There is something so beautiful about the simple bead board treatment in this kitchen. Not quite Americana-type country, but certainly an elevated version of it's self. The soft blue tone helps expand the space in an unobtrusive manner. Traditional Kitchen by San Marino Interior Designers & Decorators Charmean Neithart Interiors, LLC. Tin ceiling for a vintage touch. 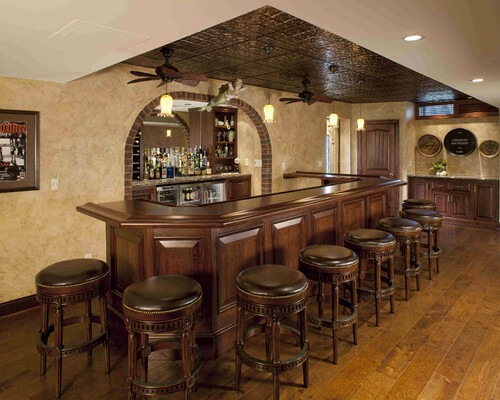 Reminiscent of a speakeasy, this basement bar, complete with dark wood, tin ceiling and aged walls feels as if it were plucked from a different era. Tin of a different sort for a different feel. Nothing feels more rustic than rusted corrugated siding. 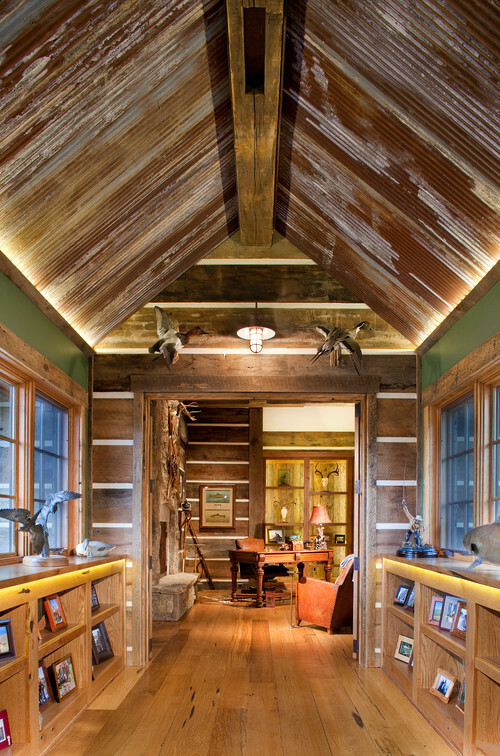 As a ceiling treatment it adds interest and immediate age to this cabin setting. Wallpaper on the 5th wall? Why not? This beautiful, degraded pattern adds a certain charm to this contemporary bedroom not really possible with paint. The randomness of the pattern plays an important counter point with the clean lines of the room. Custom millwork for a truly elegant treatment. Delicate millwork in a graceful pattern adds a timeless appeal to this dining room. While certainly the most labor intensive (and probably costly), nothing beats the feeling of a well-designed ceiling. Which of these would you most likely use in your own home? In our 1908 house in Portland, we decided to use bead board ceiling in several locations to help keep the vintage feel even though the home has been updated. Just don't let your ceiling be just another ceiling.